All right, so it's probably not the complete works--it's only the ones I own. 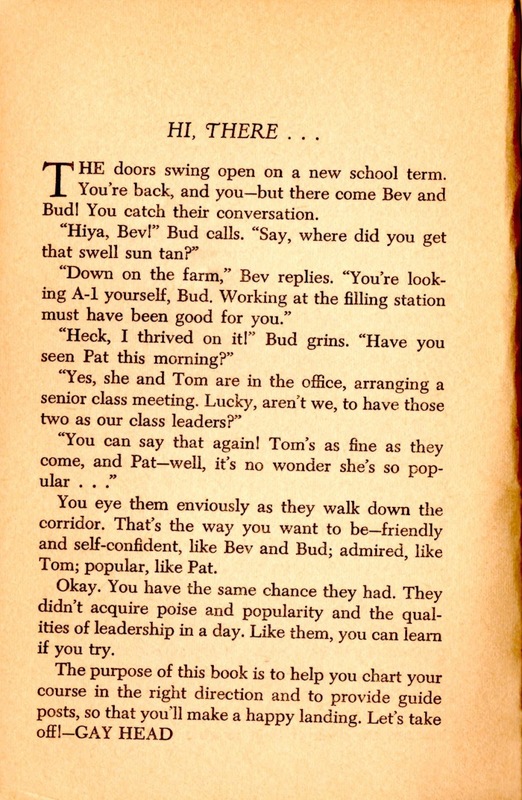 Hi There, High School by Gay Head (my edition is from 1968) is the first one I picked up, probably at a library sale. 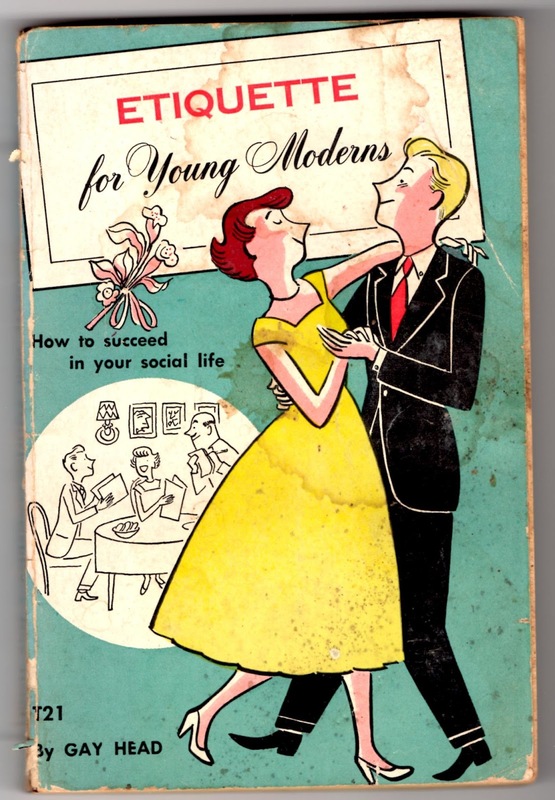 Since the cover's not that engaging, I probably thought the author's name was funny--and I still do. The following intro from Hi There, High School is a better rendition of Gay Head's style than any I could give. See image below. Fun fact I just learned: Gay Head is a woman! I'm not sure why, but I always pictured Gay Head as a man. It's kind of shaking my world. 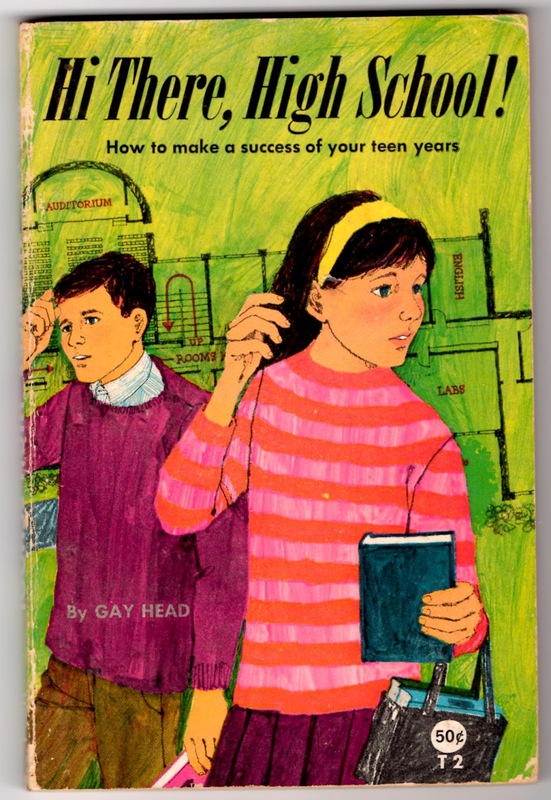 Also, once Gay Head went on to better things, other people wrote under Gay Head's name. The next thing you'll tell me is that Nancy Drew wasn't written by Carolyn Keene. 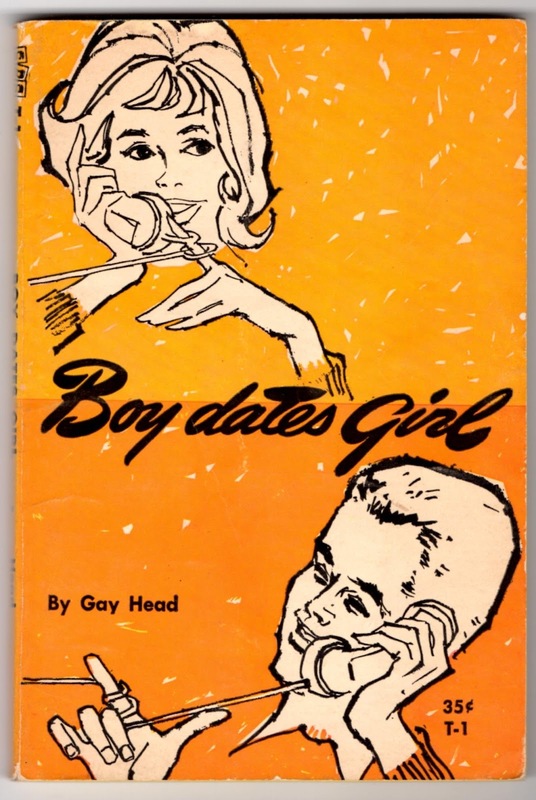 Those three words, BOY DATES GIRL, can run into hundreds of questions. In this book, we tackle those you've asked most often. We look at your individual problems: Which is the salad fork? Is it all right to "dutch date"? And we dig into basic issues: What makes a successful person What makes a successful party? Really? The most compelling question that would come up in Boy Dates Girl is which is the salad fork? And for some reason the wording "dutch date" sounds much more interesting (and dirty) than "going Dutch." Anyhoo. 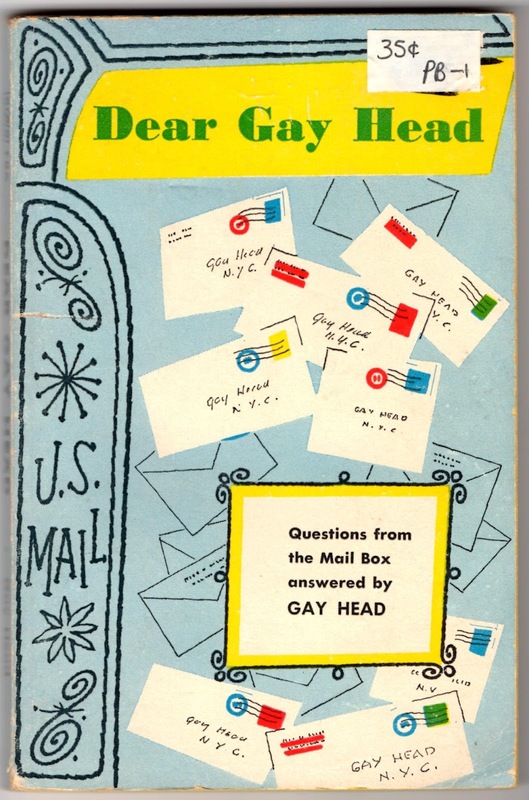 Hopefully, the letters are more compelling in Dear Gay Head (also printed in 1962), the title of which might just be my favorite non-existent band name ever. "Etiquette--that's just fluff!" Hank exclaimed when his sister Sylvia, chided him for not holding open the front door for her. "If you ask me, I'll take brains and ability--and skip the manners--to show what a person's worth." Whoa there, Hank! The person who has brains and ability without good manners may never get a chance to provide his worth. His poor manners will antagonize others--both in business and social activities. And that's straight from Gay Head! Just to recap: Hee, Gay Head. And I'm six.